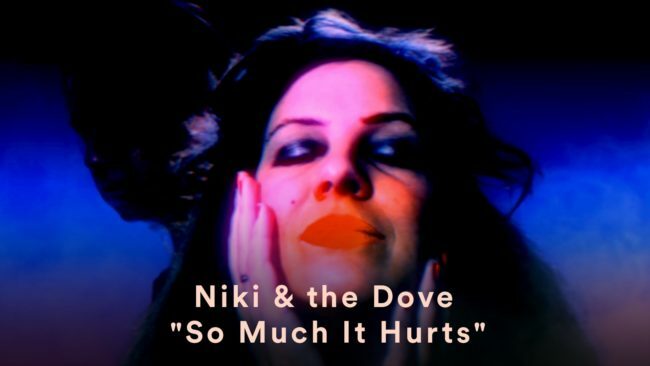 “What a fool was I to think that we were safe,” Malin Dahlström sings in the opening moments of Niki & The Dove’s exquisitely lovelorn and achingly prescient Everybody’s Heart Is Broken Now. It’s a devastating preamble to a calendar year that would not only lionize dishonesty and cultural ire but make an urgent proclamation for a regression of rights. 2016 was terrifying and terrible. The Swedish duo made an album that speaks to broken hearts and lost love, but it also serves as a political allegory for the current – and future – state of America. With production that whispers and ebbs, Niki & The Dove create a cantaloupe-colored landscape of sunsets and dance hall echoes. Malin’s voice perforates the darkness with a uniquely coarse lilt reminiscent of Stevie Nicks. The singer and instrumentalist deconstructs pain with the use of injured refrains and metallic, corvette-red choruses. On “You Want the Sun”, Malin Dahlström and producer Gustaf Karlöf dip their emotions into swirling ink, and leave a swell of colors that feel both transcendent and contemporary. Here is a pop album that has the turn radius of a sports car and the emotional core of an Elliott Smith record. It’s a game of hopscotch that is both coordinated and in danger of being off-balance. Emotions are raw and bursting with neon. Compositions are whisked by cooing tides. It’s a perfect album that wraps you in the sails of yacht rock, submerges you in the waters of 1980s pop, and asks for your hand with contemporary dance moves. I could not cry and dance any harder.